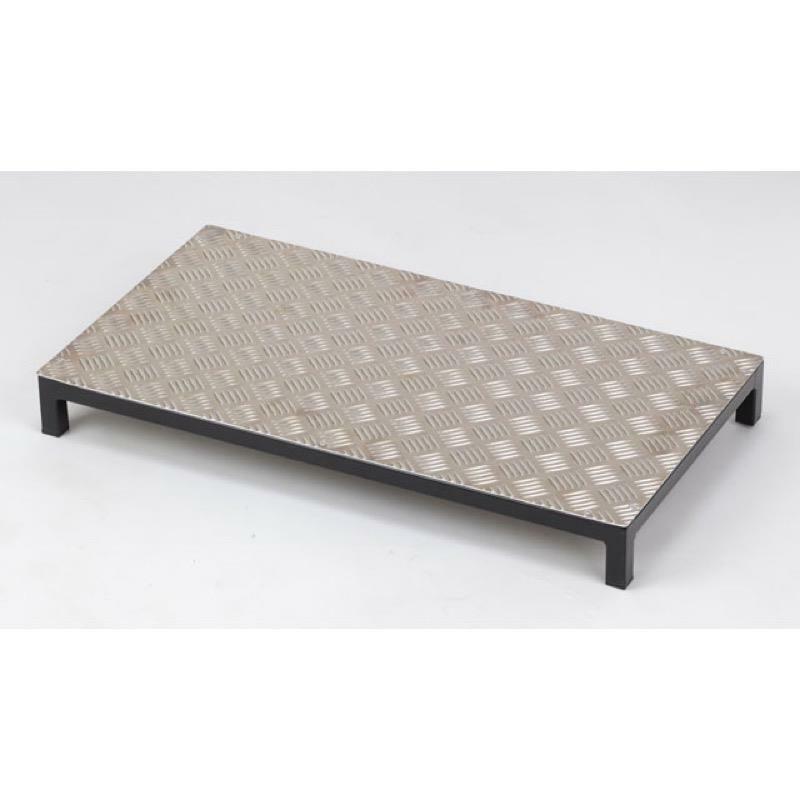 These high quality Metal Half Steps are designed for those users who struggle negotiating high steps. They are constructed from steel and aluminium and feature adjustable nylon feet. These high quality Metal Half Steps are designed for those users who struggle negotiating high steps. They are constructed from steel and aluminium and feature adjustable nylon feet. The feet adjust to the level of the ground and so privide a safe level platform to step off and on to. Available in two sizes - Standard & Large. The Large step has been specifically designed to accept a walking frame. Standard version measures 29" x 16"
Large version measures 29" x 24"